MACUCC: Youth Without Homes Can't Wait...Get the Picture? MACUCC: Youth Without Homes Can't Wait...Get the Picture? 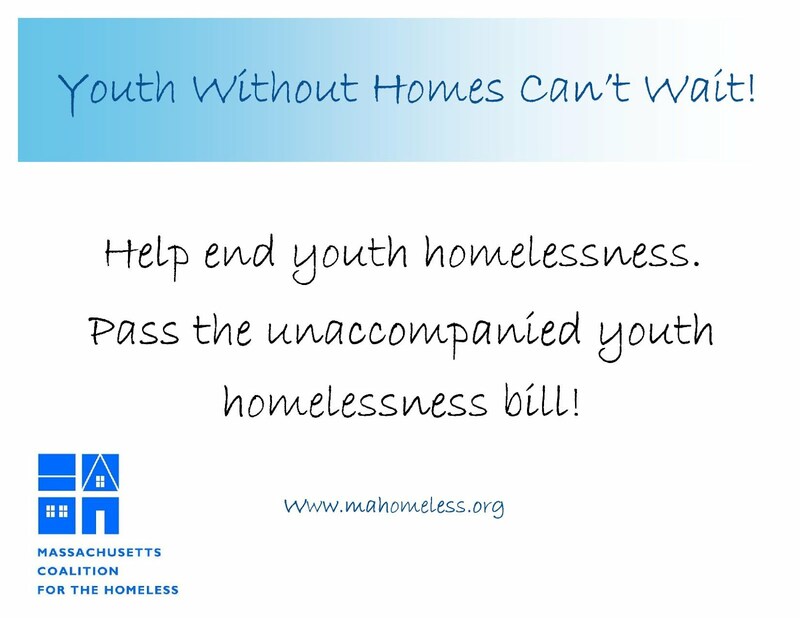 Youth Without Homes Can't Wait...Get the Picture? 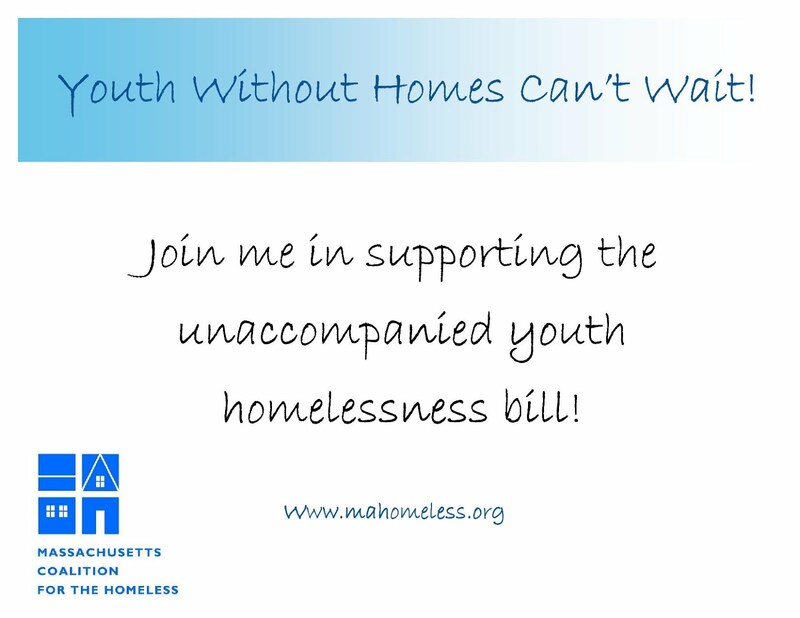 Please help the Massachusetts Coalition for the Homeless support unaccompanied youth who are experiencing homelessness and pass House Bill 135, An act providing housing and support services to unaccompanied homeless youth. The Coalition is asking people to submit a photo of themselves holding up a sign in support of youth, which will then be shared with our State Legislators. With help, we can win passage of House Bill 135 this fall! For more information, to download signs, and to submit a photo, please click this link. Left: Getting things started with a group photo are Task Team to end Homelessness members Rev. Georgeanne Bennett, Rev. 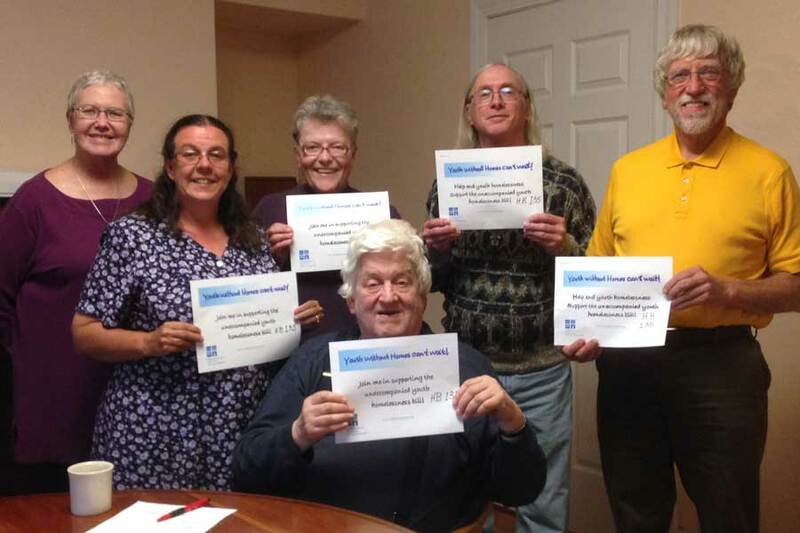 Liz Magill, Sister Linda Bessom SND, Kenneth Latham, Elliott Stratton, and (seated) Bill McCarter.